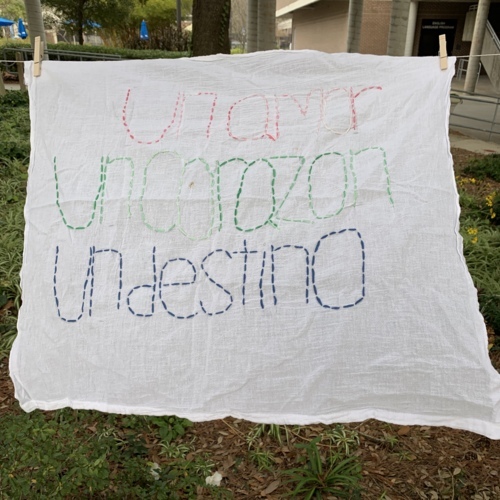 "Un amor Un Corazon Un Destino"
"One love One heart One Destiny"
Image Description: Written on the cloth Un Amor is in red, Un Corazon is in green and Un Destino is in blue. 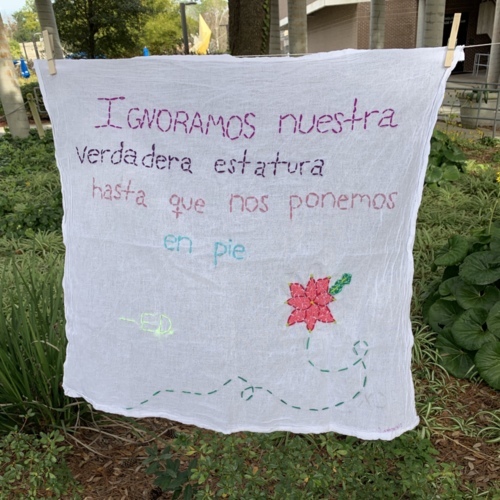 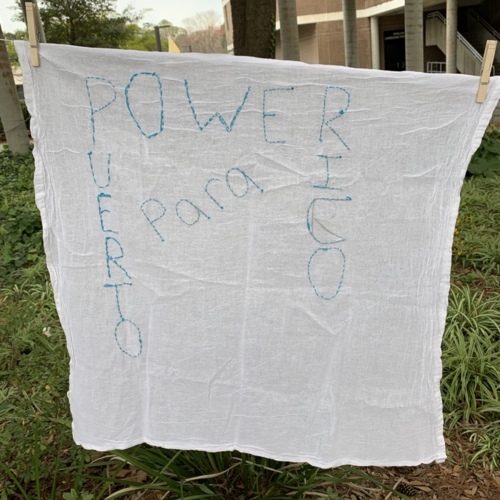 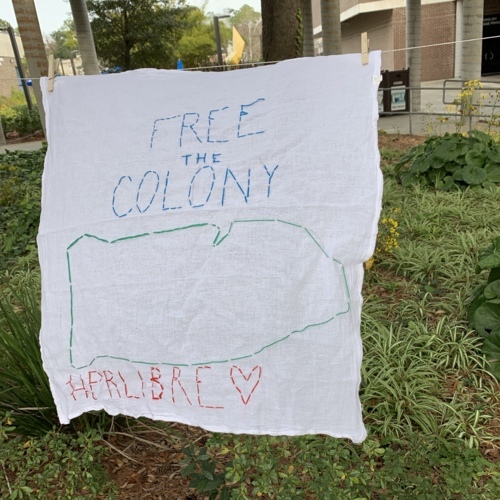 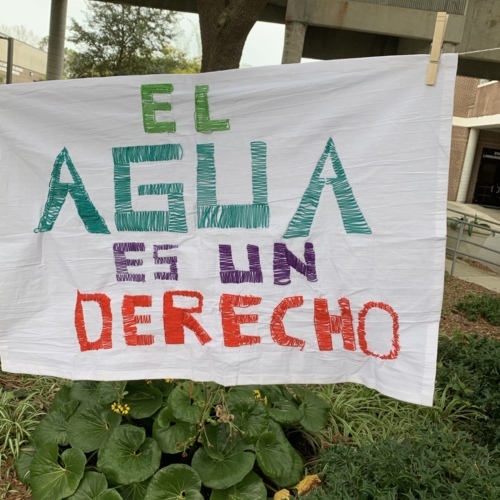 Image Description: Above, the phrase "Free the Colony" is embroidered with an outline of Puerto Rico and the phrase "#PRLibre" is embroidered under the outline of Puerto Rico. 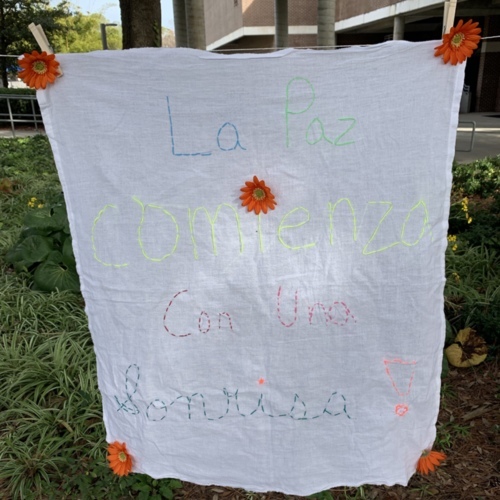 "La Paz comiensa con una sonrisa"
Translates to "Peace begins with a smile"
Reads "Ignoramos nuestra verdadera estatura hasta que nos ponemos en pie"
"We ignore our true height until we stand up" a quote by Emily Dickinson. 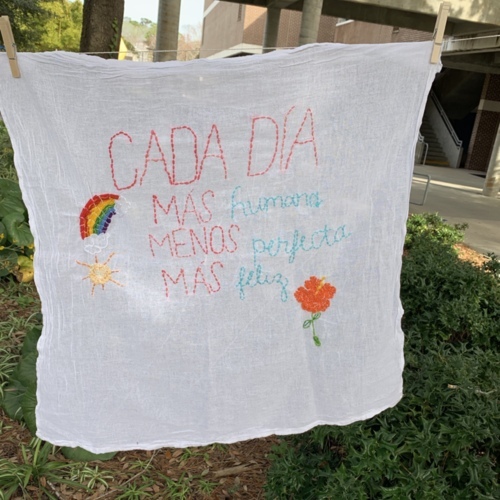 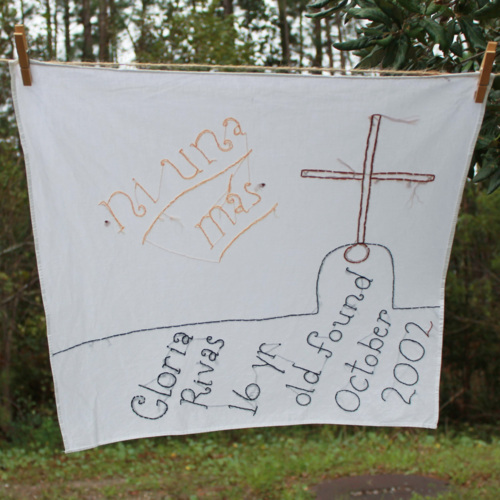 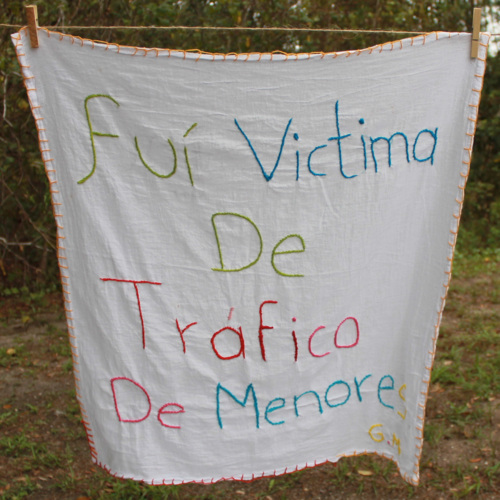 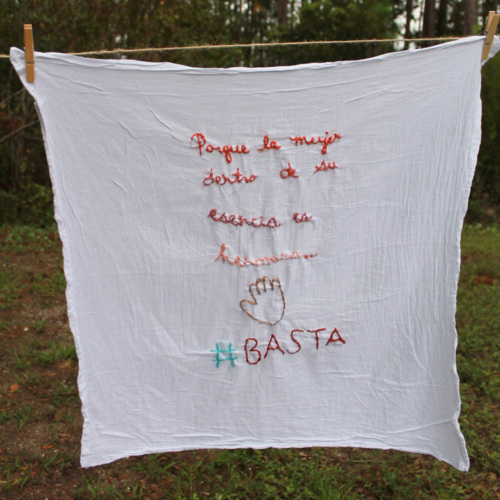 "Porque la mujer dentro de su esencia es hermosa #Basta"
"Because the woman within your essence is beautiful #Enough"
Gloria Rivas: 16 yr. old found October 2002"